Mercyhurst University recently announced that it has a fascinating, diverse range of talent that will participate on-air in the Collegiate Challenge on WQLN, scheduled today, Oct. 25. The Collegiate Challenge, a yearly fundraiser, supports local public broadcasting. Anyone who wants to support the event is invited to call the station or visit the Carolyn Herrmann Student Union Great Room. The doors will be open from 6 a.m. to 1 p.m. There are two trophies: Overall Money Raised and Most Improved. Other participating regional colleges and universities are Edinboro University, Gannon University, Allegheny College, Penn State Behrend, Pitt-Titusville and Lake Erie College of Osteopathic Medicine. 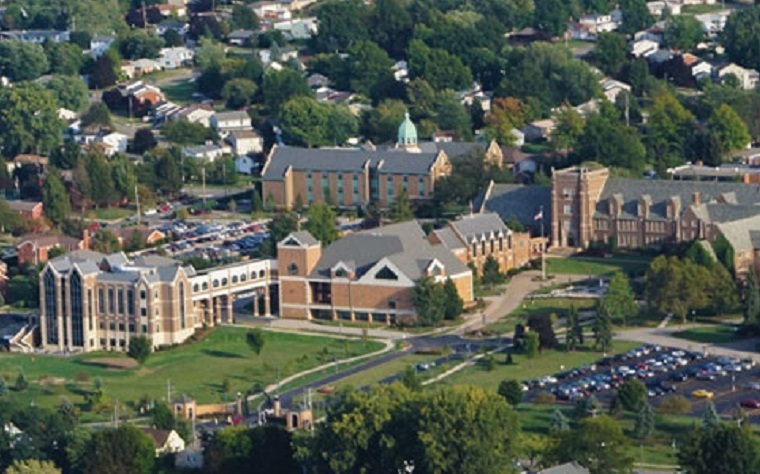 As part of the fundraising event, Mercyhurst will present a gift to WQLN. At 6 a.m., the challenge will start when Dr. Joseph Morris, an associate professor of political science and the director of the Mercyhurst Center for Applied Politics, will speak about the current U.S. presidential election. Later, Sister Lisa Mary McCartney, the vice president of Mercyhurst’s mission integration, will discuss the Mercy Emissary program. This successful program handles the Sisters of Mercy activities on campus. At 1 p.m., Dr. Karen Morahan, the assistant professor of nursing, will speak about the university’s Veterans Tribute during the Nov. 11-12 on Veterans Weekend.